Local rivalry, and the simple ambition of being the best your country has to offer in a particular discipline or sport, can often lead to great things. Connoisseurs of sport would be able to point to examples of that in football, or in boxing gyms and snooker halls across the country, where striving to beat your closest challengers – in a geographical sense – often carries a sport or individuals to another level. 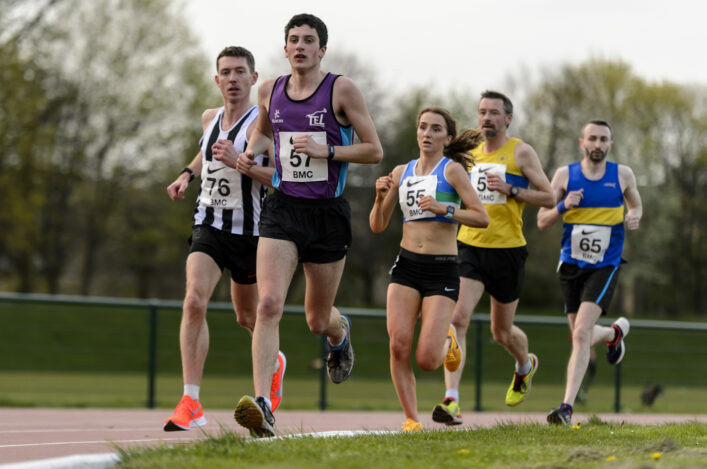 Indeed, in Scottish athletics currently, middle-distance running has seldom, if ever, been stronger and it looks almost entirely due to runners being pushed domestically, first and foremost. Think Chris O’Hare-Jake Wightman; Chris bennett-Mark Dry; David Smith and Allan Smith as male examples currently at Gold Coast 2018. It is certainly a theory Chris Baillie subscribes to. For he can point to a Commonwealth Games silver medal as the end product of some parochial pressure. 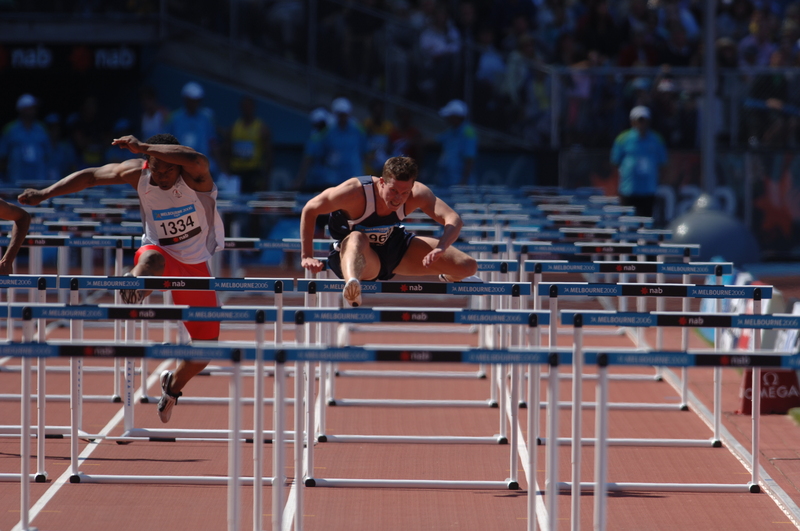 ‘As a youngster, I was very fortunate to train with Colin Jackson and work with Malcolm Arnold as well,’ recalled Chris, silver medallist in the 110m hurdles in Melbourne in 2006. ‘But when I was coming through, and running at the top level, it was probably the best Scotland had been in terms of high hurdlers. 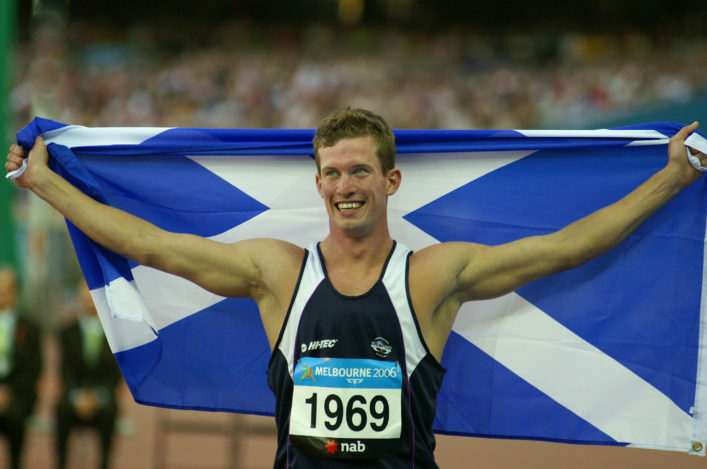 There was me, my brother Ross had set records and given us something to gauge ourselves against, and Allan Scott – who also went to those Commonwealth Games in Melbourne in 2006 – was a training partner. 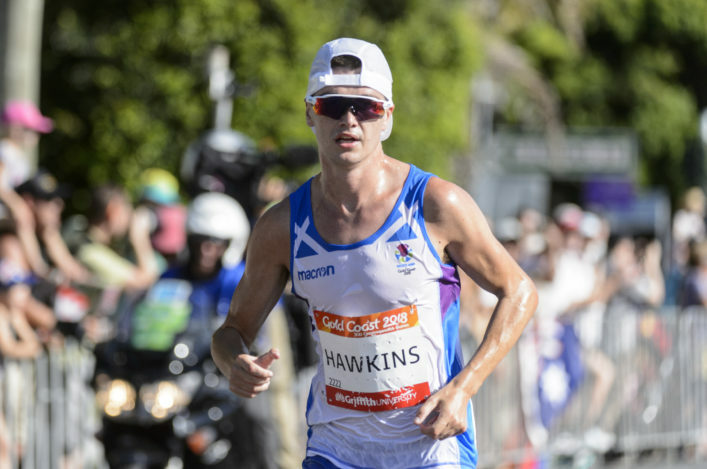 While those daily challenges helped, so to did natural talent, and the progression of both led to Chris, then 24 years-old, claiming his biggest prize as an athlete – running for Scotland in Australia. ‘I’d been going abroad representing Scotland and GB since I was a kid – European Juniors in Latvia, World Juniors in Santiago, European U-23s in Amsterdam and Poland – but not for Commonwealth Games and you couldn’t really call Manchester in 2002 abroad anyway. Not when you could go on the bus! Interestingly, in the lead-up to those Games, athletics wasn’t the only thing in his life. ‘As a junior, and since leaving school, I’d been a full-time athlete. But in 2005, I had to work in a bank, three days a week. It was a bit of an eye-opener, having a real job. But it stopped me from being too focused on athletics, if that sounds right. Maintaining his dedication to the sport, and form, put himself in the mix for a medal in Melbourne; not that he ever thought too much about it. All along, his ambitions remained very simple. ‘We went very early to Melbourne, I think it was nearly eight weeks before I was due to race. I don’t think they were taking any chances with the jet lag. We were nearly locals by the time it came time to run,’ joked Chris, who remained loyal to his club Victoria Park, while performing for Birchfield Harriers in the British League. ‘I simply wanted to reach the final. It’s interesting the motivation that people have ahead of major meetings. But four years on from Manchester, I just wanted to get to the final again. 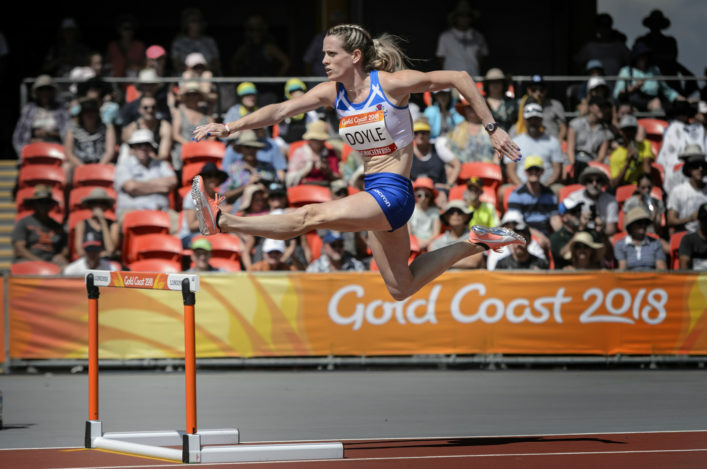 ‘I’d run well in 2005, making the qualifying standard so I was definitely going. And once I’d arrived in Australia, I began running really well and really fast. My intentions didn’t change; make the final. After that, then you have one race when anything can happen. ‘I was trying to keep the pressure off myself. But the expectations around me changed. ‘Anything that takes away your focus, like trying too hard, like looking at those around you, not concentrating on your technique, things can go wrong quite quickly. It helped that I was going there, and was there, with experience of a Commonwealth Games final behind me. ‘I enjoyed the day and the occasion more than I did in Manchester, and that calmed me down, from what I can remember. I didn’t have the adrenalin pumping, I ignored the crowd. I was quite chilled. ‘If my aims had been simple – get to the final – they were even less complicated once I was in the final. I was going to run the best I could. If I did that, and executed well, it would get me a decent time. ‘If I got a decent time, then it might bring me a medal. I know that will sound very simplistic, but there wasn’t any reason to overcomplicate things. ‘I hadn’t been beaten out there, so there wasn’t anything to fear. The one guy who I honestly thought might beat me was Maurice Wignall of Jamaica. He’d been fourth in the Olympics in Athens and came straight from performing well in the World Indoors. While the Commonwealth Games will be staged on the Gold Coast this time around, Chris believes the spectacle will still attract an major audience in these parts. ‘I think the Commonwealth Games has always been very big in the country,’ he added. ‘It is the ultimate championship for a lot of sports if you are looking to represent Scotland. I think that has always been an attraction. ‘This time, I think there will be those watching because of what we witnessed in Glasgow, because they’ll recognise so many of the athletes and competitors from four years ago, and to see if we can match the levels of success. Hopefully those in the Carrara Stadium will remain as focussed and single-minded as Chris Baillie did a dozen years ago . . .